At KIST we celebrate International Mother Language Day with an annual ‘World Cultures Day’ event which includes a traditional costume parade and PTA bake sale featuring delicious treats from around the world.This year, I challenged the Elementary Student Representative Council to host a ‘Mother language recordings’ booth. We wanted to provide an opportunity for students and parents to record brief video messages about peace in their mother languages. The students made a poster and I created a form for participants to write their messages along with English translations. We collaborated with the Media Club to record the videos. In an hour, we recorded around twenty videos by community members in languages including Japanese, Russian, Turkish, English, Bengali, and three different languages from India: Tamil, Odiya, and Hindi. 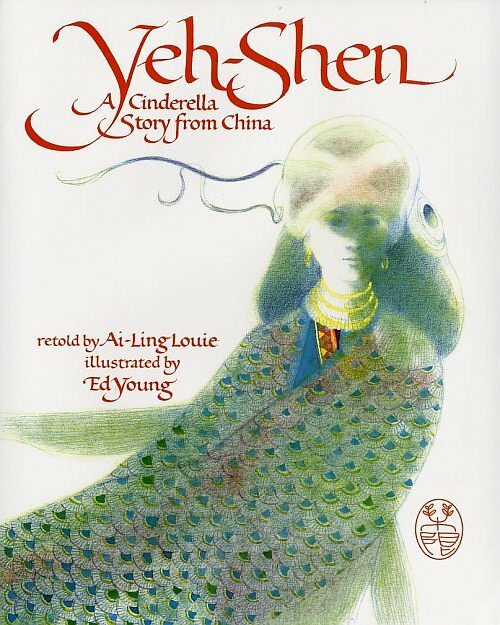 We are currently in the process of deciding how to publish and share the videos, although I did make a point of obtaining permission from the adult participants to share their recordings on the school website. The greatest takeaway for me was the encouragement we received to widen the scope of this project next year with more promotion and a larger window of time to record messages. A few days later, the tweet above from IB World Magazine caused me to reflect on how International Mother Language Day is an essential opportunity for internationally minded people and organizations to celebrate and preserve language diversity. Hopefully, we will expand the ‘Mother language recordings’ project next year. I’d like to share three pieces of student work, each of which shows unique applications of deeper learning. The first is a Grade 2 ‘landforms’ project. 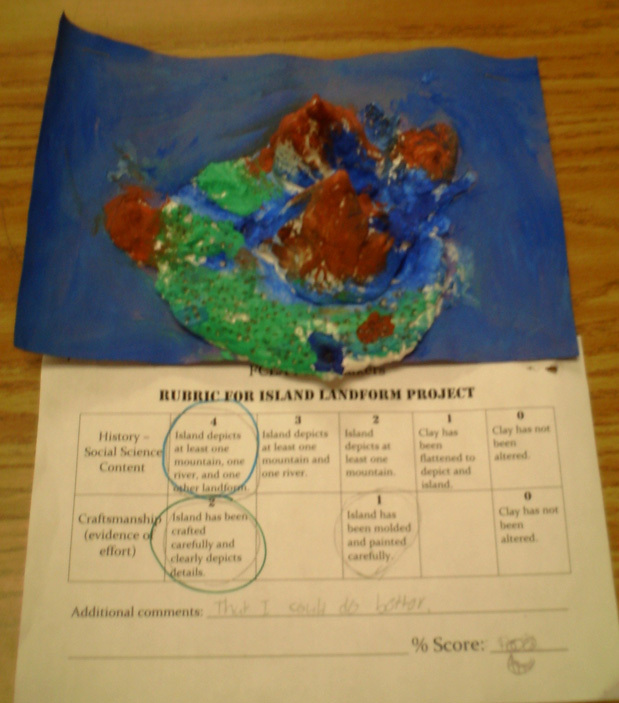 The task was to build and paint an island with landforms. The example shows a few examples of deeper geographical understanding, especially that the river is carved into the land, rather than simply painted on, and that it flows from the hills to the ocean. 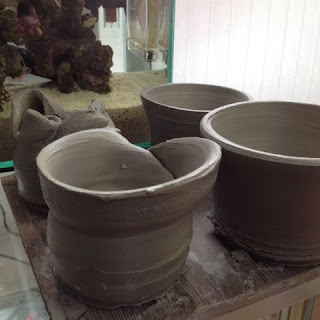 However, it would have been better to provide greater opportunities to practice with the clay and paint in a creative way. The student’s reflection, ‘I could to better’, is very revealing of the fact that this little project utilized too many different, new skills. I should have planned a stand-alone art unit using these tools before applying them in this Geography activity. It’s a great example of how thoughtful planning should authentically scaffold deeper learning, so that when the real tasks of the inquiry present themselves, students have access to a broad range of skills and knowledge. Additionally, it was connected to a service-learning project focused on access to clean, fresh water, so the students had opportunities to transfer this learning to authentic situations outside of the school. Next, also in Grade 2, in an activity to investigate, observe, and compare the seeds of various fruit, a parent volunteer and I sliced twelve different fruits and arranged centers with each around the room. 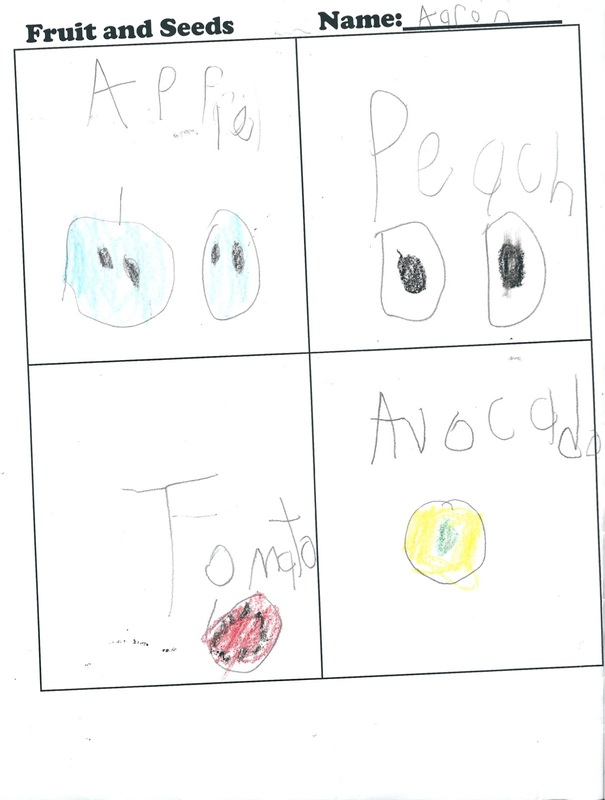 Students used a graphic organizer to explore, draw, compare and discuss. Is it deeper learning? 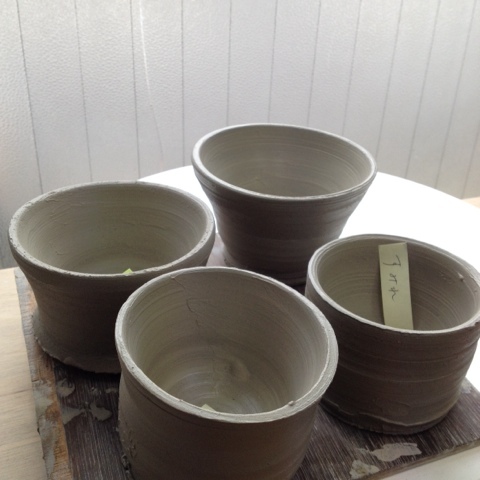 I can say for certain that the students enjoyed the activity. This example is from a student who generally struggled to complete work, yet he managed to excel in this case. 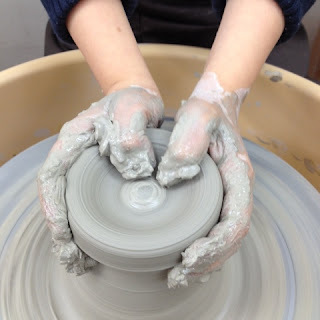 Referring to the Hewlett Foundation’s definition of Deeper Learning, I believe that this is an artifact of deeper learning for a seven-year-old, primarily due to the social, investigative, and integrated arts nature of the activity. Perhaps it would have been deeper if there were a connection to a significant global issue, had been extended through an exploratory field trip, or led to an urban garden project. 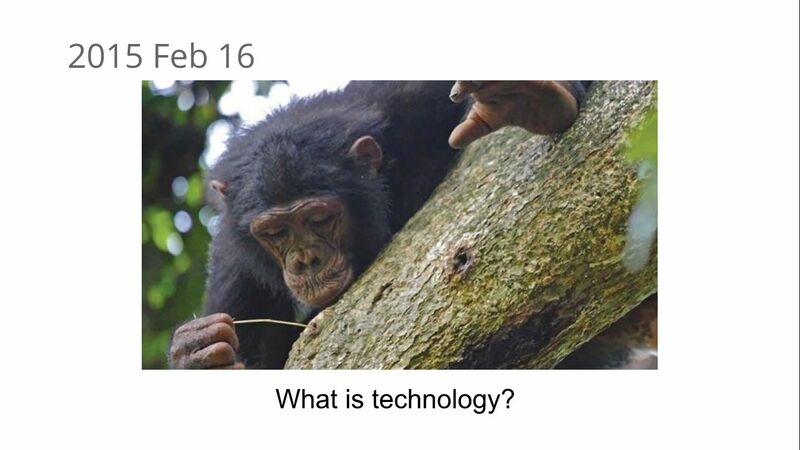 This final example comes from Grade 6 and our current unit of inquiry into the evolution of scientific understanding and its effects on people’s lives. After a modeled inquiry into 3D Printing, students were tasked with researching an emerging technology and publish a blog post about it. This student’s post shows application of a range of research, thinking, and communication skills. In particular, the student demonstrates growing awareness for digital publishing techniques by way of the embedded videos and text organization. Finally, it is public and invites the reader to participate in the inquiry, which I think is a hallmark feature of deeper learning. Looking at student work, I think it’s important to notice that elements of deeper learning occur in almost every experience. The responsibility lies with, in the case of school, the teacher whose task is to design a learning environment that supports the various elements of deeper learning with balance and flexibility to be relevant to each individual learner. My sixth graders and I took a field trip to The Bandai Edison Museum yesterday and I thought it was an ideal chance for a Bring-Your-Own-Technology experiment. 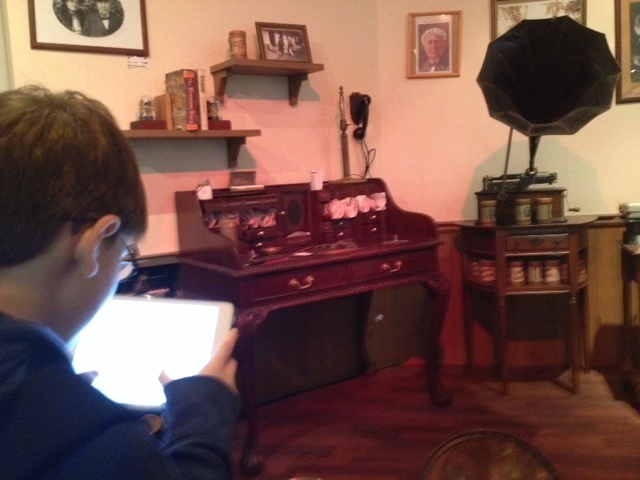 Our current inquiry focuses on personal histories and the primary objective of the field trip was to reflect on how the Thomas Edison Exhibition tells the story of his life. The task was to choose three artifacts in the exhibit and deduce what invention led or might have led to it, and what inventions came after. Usually, iPads and other mobile digital devices are not allowed in school, but for the field trip, I said they can bring any technology they want to complete their assignment. I created a simple google form and posted it on our class blog for those with Internet access. Some students chose to write their reflections with paper and pencil, but a few brought their iPads, smartphones, and a couple DSs, and were excited to use them! After completing their reflections, some students took photos or made videos of their favorite exhibits. It felt great to provide them with the autonomy to use their technological resources to inspire and motivate their inquiries. The enhanced engagement and enthusiasm to share their work was a clear benefit. 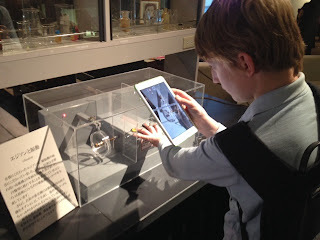 I plan to have a BYOT policy in place in the classroom when we start working in earnest on our culminating Exhibition, and the field trip experiment demonstrated to me that these technologies, coupled with independence, are remarkable learning multipliers. In our reflective discussion, many students cited their digital products when describing Edison’s place in history and the connections between inventions. I’m considering ways that this strategy could be expounded to transform field trips into “Connected Learning Expeditions” and would appreciate knowing your experiences and thoughts! Being a connected educator is not easy. Often, a single tweet or blog post will disrupt my plans for the day, bring my train of thought screeching to a halt, or overturn part of my philosophy of learning and teaching. And I’ve enjoyed every minute of it! 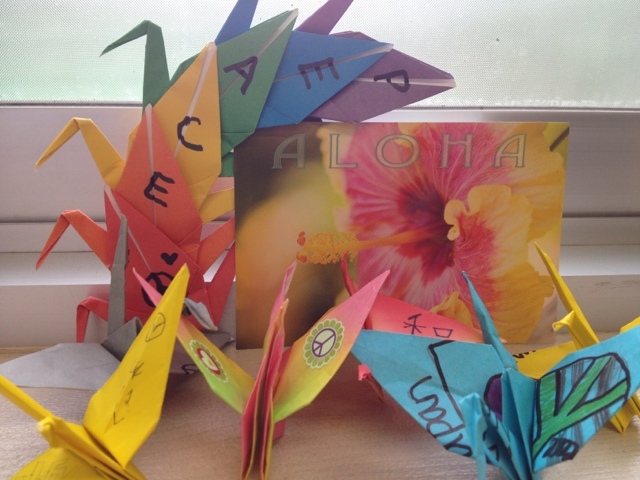 One of the best tweets I’ve received was from Melvina Kurashige, in Hawaii, inviting my class to exchange origami peace cranes as part of the Peace Crane Project. Who wouldn’t want to do that?! It was a simple and meaningful activity which involved writing messages of peace on paper, folding them into origami cranes, and sending them off. Just before sending ours, we received a package from Hawaii containing the beautiful cranes and postcard in the photo. To bring our classes closer together, we held a brief Skype session in which the students asked each other questions about their schools, where they live, and their interests. The activity connected perfectly with Shibuya Peace Day, one of our schoolwide events. I could imagine a class participating while reading Sadako and the Thousand Paper Cranes for a strong literature connection or as part of an arts & crafts unit on origami. This fun global collaboration was most meaningful due to having a simple and worthy goal: to promote peace.